Finally. A few days ago, the Super Nintendo RPG classic Earthbound was released for the Wii U Virtual Console. 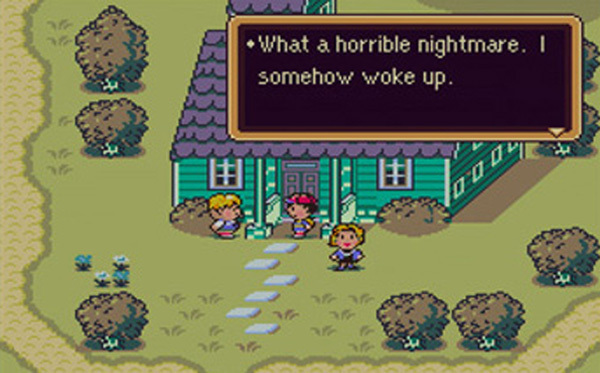 Until now, Earthbound had never been released in PAL regions. Many of us have been eagerly awaiting this digital release, with it representing our first opportunity to play this much loved and much raved about game. When Earthbound originally released in North America in 1995 it was accompanied by a Player’s Guide, so Nintendo have made a digital version of this guide available on the game’s official web site – it has also been optimized for use on the Wii U GamePad, so it makes for a rather nice little bonus. Earthbound is currently available on the Wii U Virtual Console for AU$13.00/US$9.99, which is a tad (read: a lot) cheaper than purchasing a physical version of the original SNES release on eBay. Last month, both The Legend of Zelda: Oracle of Seasons and The Legend of Zelda: Oracle of Ages were released on the Nintendo 3DS Virtual Console in Japan. Many were hoping that North America and PAL regions would too see such a release on their respective 3DS eShops forthwith. The producer of The Legend of Zelda series, Eiji Aonuma, didn’t keep us waiting long. 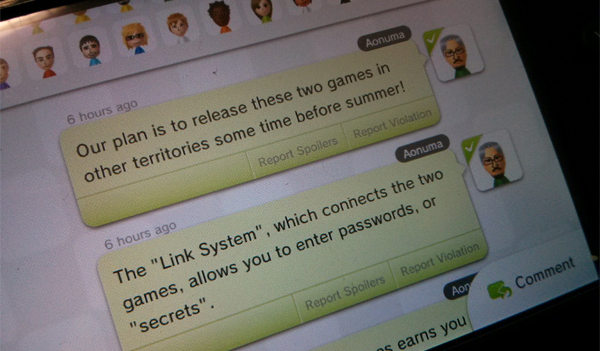 However, rather than confirming the western release via the usual means, Aonuma instead opted to make the announcement on the official The Legend of Zelda series Miiverse community – posting “Our plan is to release these two games in other territories some time before summer! To commemorate Grand Theft Auto: Vice City’s 10th anniversary, Rockstar will soon be re-releasing the game for select iOS and Android devices. 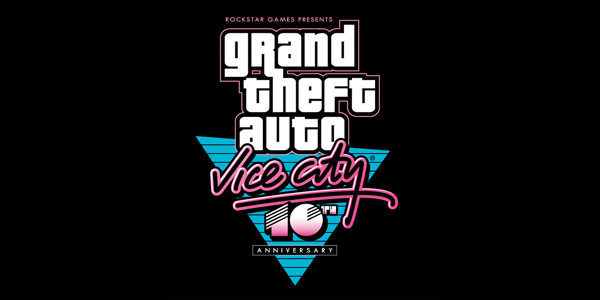 The Anniversary Edition of Grand Theft Auto: Vice City will feature improved graphics, a touch interface and other such enhancements. Further celebrations for the occasion include the release of previously unseen artwork and new anniversary trailer showcasing iconic moments and music from the game, a limited run of collectable items purchasable through Rockstar Warehouse, and online giveaways. If you are quick, you can also snap up Grand Theft Auto III and Grand Theft Auto: Chinatown Wars on iOS and Android for 99 cents. Note: Grand Theft Auto 3: Australian Edition for iOS is still priced at $5.49. The newly-formed mobile division over at Activision is revisiting the old Activision classic Pitfall! 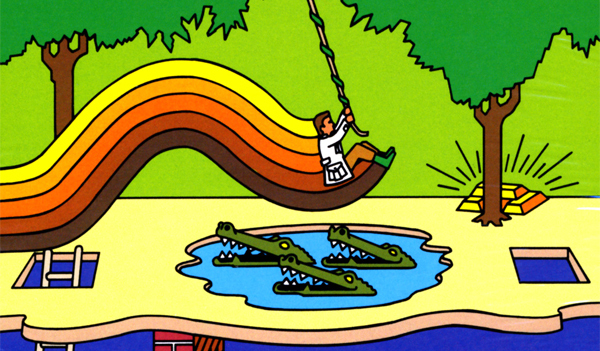 Originally released back in 1982 for the Atari 2600 (and ported to just about everything else 8-bit), Pitfall! was a big success – it was the second highest selling game for the Atari 2600 and is adored by fans still to this day. “We’ve been working on Pitfall since earlier in the year when we set up and it has been really good to revisit that and bring it to a modern audience” Activision’s Martyn Brown told MCV, keen to dispel last week’s rumours that a Call of Duty for smartphones was underway instead. “Pitfall for smartphones is a fresh take” he continued, however no details as to what this entails have yet be provided. Pitfall! turns 30 in September of this year – 3 months ahead of me. We are old. Last week, Nintendo of America announced the upcoming releases for the Nintendo 3DS Virtual Console and reaffirmed their support for the service with a commitment to release two 3DS Virtual Console titles a week from July 5 to August 1. Unfamiliar with some of these games? Not a problem. Just check out the trailer above for a showcase of what’s on offer. Apparently more titles will be available too, but these are yet to be confirmed. Nintendo of America will also be offering a weekly sale on select eShop titles for a limited time, so if you live in North America or are the proud owner of an imported Nintendo 3DS you have a lot to look forward to this … winter. Final Fantasy VII returning to PC? 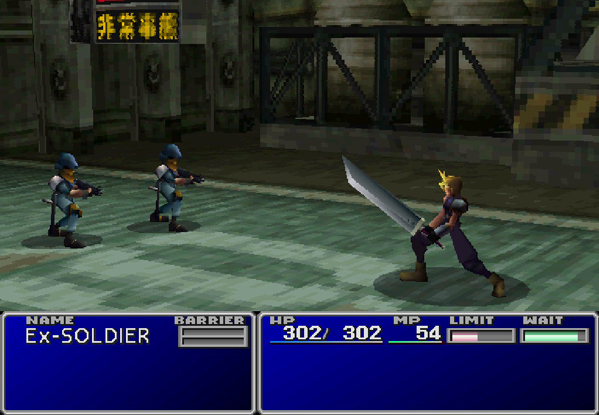 The now removed site FinalFantasyVIIPC.com has leaked plans for an updated re-release of Final Fantasy VII for PC. The Square Enix owned domain inadvertently revealed a product description suggesting a Steam release of the RPG classic with new online features, 36 unlockable Steam achievements, Cloud saves, a character booster and a digital download price point of £7.99 / €9.99. Exciting news! Here’s hoping an official announcement is soon to follow. 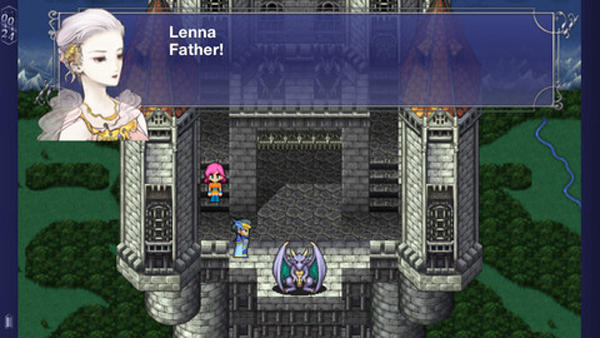 Square Enix has just released another port of the 1987 RPG classic Final Fantasy and this time it is for Windows Phone. 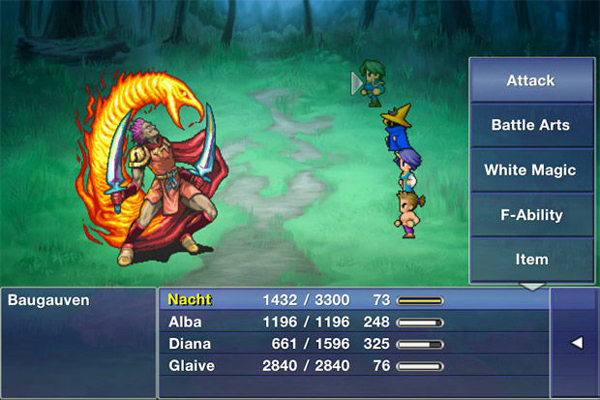 Final Fantasy for Windows Phone is based on the iOS version, and therefore includes the Soul of Chaos and Labyrinth of Time additional dungeons as well as featuring the enhanced sprites of the 2007 PSP Final Fantasy remake. 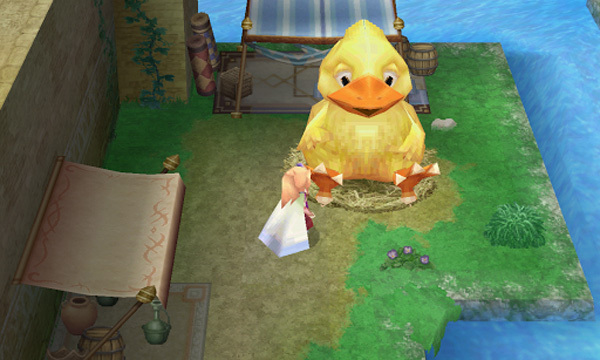 Final Fantasy for Windows Phone can be had for AU$7.49. Not too shabby. 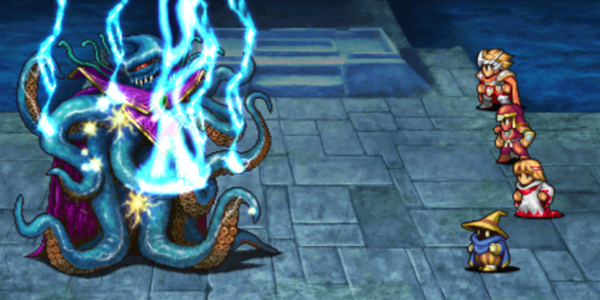 Final Fantasy Dimensions, a old-school styled turn-based RPG, is set for release on iOS and Android devices. Final Fantasy Dimensions was released in Japan as Final Fantasy Legends: Hikari to Yami no Senshi in 2010 for mobile devices. The game was developed in the style of Final Fantasy V and features 2D sprite based visuals, Active Time Battle system, random battles, job system reminiscent of FFV and party of five members played in two parties – the Warriors of Light and the Warriors of Darkness. The iOS and Android Final Fantasy Dimensions includes touch-based controls and will be released in 13 episodes (each approximately 3 hours long) commencing this July.